Planning your trip to Anguilla? Here are some can’t miss experiences based on our personal favorites, guests’ feedback, and employee insight. 1. Provided the seas are working in our favor, a beach hopping boat trip is a great addition to an Anguillian itinerary. Guests join us on our boat, FrangiCat, for a day of exploring off-island cays (Prickly Pear and/or Sandy Island) along with a bit of snorkeling at famed Little Bay and lunch at a local restaurant. It’s a great opportunity to get out on the water, see the island from a different perspective, and meet other guests at the resort. Enjoy Water Sports? They're On Us! 2. Stay active during your stay in Anguilla with complimentary motorized and non-motorized water sports! 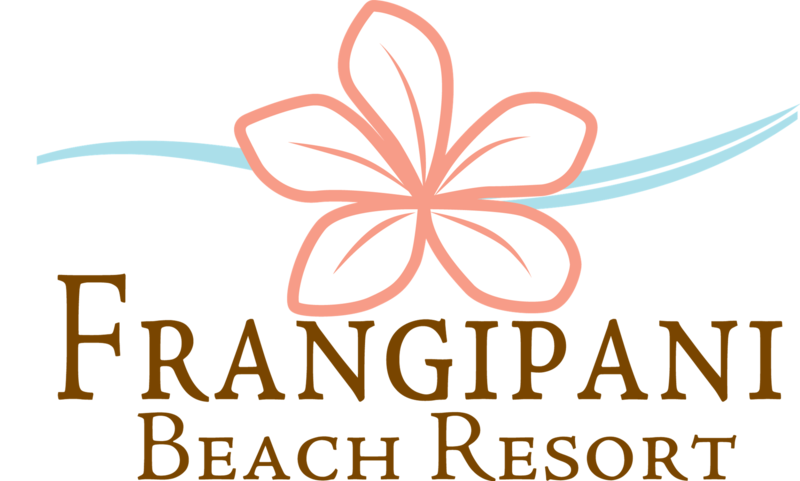 At Frangipani Beach Resort, try paddleboarding, kayaking, water skiing, tubing, wake boarding or learn to sail a Hobie Cat with one of our beach boys. Our attendants are on duty from 10AM – 4PM and no appointment is required. 3. Anguilla consistently gets rated as one of the Caribbean’s culinary capitals and that’s no accident. The island is home to a slew of world-class restaurants offering everything from nouveau Caribbean fare to upscale French and Moroccan. Our on-site restaurant, Straw Hat, was rated as a Top 10 restaurant in the Caribbean by Fodor’s, making it a great spot for breakfast, lunch and dinner. Plus, the view? It’s tough to beat. 4. Is there anything more Caribbean than a toes-in-the-sand beach bar experience? Head to Elvis’ Beach Bar in Sandy Ground for a rum punch during sunset or for an after dinner sip. For a daytime beach bar experience, try Garvey’s Sunshine Shack on Rendezvous Bay or head to Waves, Meads Bay's newest addition. 5. For an extra special experience during your stay, look to Tradition Sailing, operated by Laurie Gumbs and Deb Vos of Pumphouse fame. In lieu of a powerboat, you’ll step onto a traditional West Indian sloop that takes you out on a slow, peaceful sail on the Caribbean Sea. Try their sunset tapas cruise for a memorable evening in Anguilla. 6. Anguilla is home to a surprising amount of musical talent, and a meal over live music is a must when you’re on island! Whether it’s Omari Banks over a upscale meal at Veya, the scratch band at Gwen’s, or jazz at Johnno’s, there’s something for everyone and something nearly every day of the week. 7. Nosh on local crayfish grilled to perfection and wash it down with an ice cold rum punch at Scilly Cay. This little off-island cay requires guests to head to Island Harbour where a little boat will collect you and whisk you away to this picture-perfect island. Open Wednesdays and Sundays only (they have live music on Sundays! ), Scilly Cay was written up in Bon Apetit magazine for their upscale BBQ and other-worldly setting. Spend the day lazing away – you’ll feel like someone dropped you into a postcard. 8. Anguilla is known for its blindingly white, perfect beaches (there are 33 of them! ), and Meads Bay is arguably the best beach on the island. A long stretch of powdery white sand, you’ll find your place to lounge under one of our palapas where Straw Hat Restaurant offers beach service to ensure a steady flow of rum punch. Meads Bay is home to a number of restaurants so you’ll be able to walk down to any of a number of dining spots that cater to all cravings. 9. One of the many perks of a boutique property is getting to know the staff, the managers and other guests by name. Frangipani hosts a weekly managers’ cocktail party during the season to allow guests to mingle while sipping on rum punch or wine and listening to live music. It’s a fun time and always ends up in new friendships and connections being forged – don’t miss it! 10. Local events and activities take place throughout the year, and getting involved is a great addition to your itinerary for a serious dose of Anguillian flavor. Sailboat racing is the national sport of the island and major boat races happen during the summer months, culminating with the races taking place during Carnival week. Other local festivals like Festival del Mar (a seafood festival in Island Harbour) and Moonsplash (a reggae festival at the Dune Preserve) are fun draws. Frangipani Beach Resort is proud to sponsor De Tree, a winning sailboat captained by Frangipani’s very own landscape architect, Ross Romney.